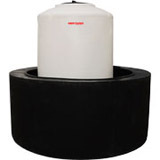 This Containment Basin is designed to provide you with a reliable form of secondary containment for your chemical or fuel storage tanks. Equipped to contain your drums and tanks, this barrier complies with Federal Regulation 40CFR-264.193, for the safe containment of hazardous materials. 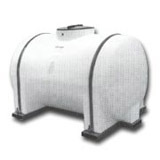 Built strong and lasting, these tanks will not only catch materials before they enter the environment, but are also equipped to handle outdoor elements without wearing down due to sun or rain exposure. Complies with Federal Regulation 40CFR-264.193. 72 x 72 x 66 rect. 84 x 84 x 48 rect. 84 x 84 x 60 rect.